Stanton Queen Sleepers can seat three and sleep two comfortably, and range from 75” to 94”. Stanton, based in Tualatin, Oregon, is known for their incredible quality and craftsmanship, and each frame offers a lifetime warranty. Check out the queen sleeper models below, and then explore Stanton’s great selection of upholsteries in our Sleeper Design Center. Sleeper Sofas by Stanton are known for their incredible quality and workmanship. Stanton sleepers include a lifetime warranty on the frame, cushions, fibers and springs. Stanton makes all their furniture in Tualatin, Oregon, using materials from the Pacific Northwest. Stanton offers a great selection of upholsteries, along with 2-4 accent pillows with every style. Mattress options include the innerspring Standard Mattress, the Deluxe Mattress by Englander and the Memory Foam Premium Mattress by Englander. We have Stanton Sleepers available to ship immediately from our QuickShip Gallery. With over a dozen unique models to choose from, there is a Stanton Queen Sleeper Sofa for everyone. Whether you’re looking for a traditional, transitional or contemporary style, we’ve got something for you. A Stanton Queen Sofa Bed is the ideal sleep solution for any living room or den. The Stanton 108 Sleeper Sofa is marked by elegant rolled arms and an Art Deco style that combines straight and curved lines. Like all of our Stanton models, the 108 is fully customizable. The Stanton 692 Sleeper Sofa offers uniquely curved arms and four loose scatter-back pillows. This impeccably designed sleeper comes in over 200 designer upholstery fabrics. Made in the USA, all of our Stanton models come with top of the line sleeper mattresses and a lifetime warranty. We even offer a price match guarantee. 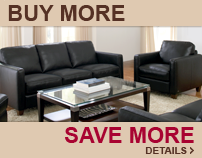 Find the same product for a lower price and we’ll match it!